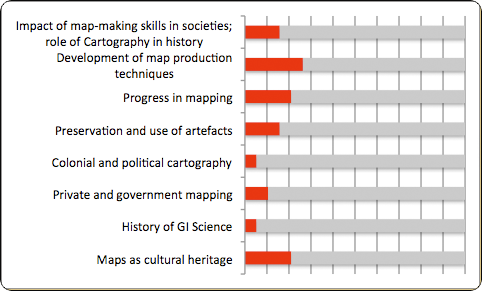 The scope of the agenda is wide including both Cartographic and GI Science issues. Depending on the background of the interested researcher, the entire field can be approached by several ways. It is impossible to make a generic structure of the topics that fits all opinions. 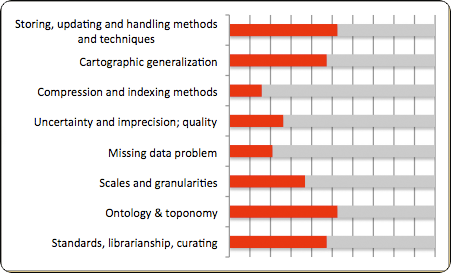 It is also impossible to create a non-overlapping hierarchy of research topics. What has been done on the basis of common discussions has now been organized under subtitles or keywords. 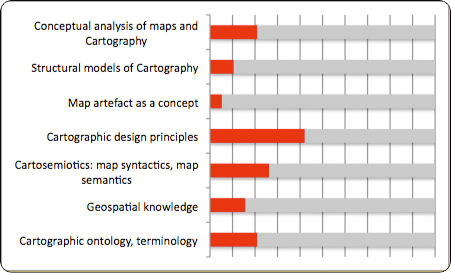 The definitions as presented by ICA (2003), have also influenced the scope of this agenda – a primary intention is to ensure that the topics discussed here fall within the accepted extent of Cartography and GI Science, and that we can also see synergies with closely related fields, notably in spatial data collection and handling. The keywords have been extracted from the mind maps produced in the brainstorming sessions referred above. Short discussion on the keywords has been added in order to explain the role and/or meaning of each keyword. 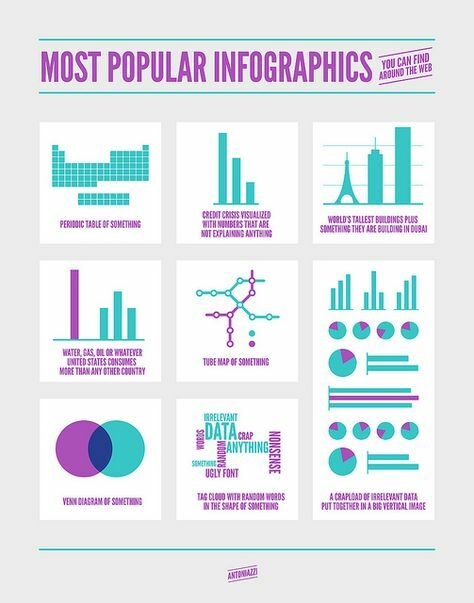 In the following text the important research topics are in bold. References to supporting fields of science or technologies are written in italic. It must be kept in mind that the topics cannot be organized totally hierarchically under the main keywords, but there are several topics that could be linked to more than one keyword. 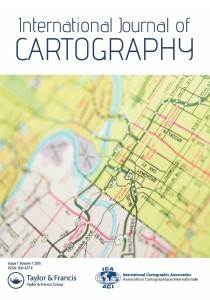 We have decided to mainly use ‘geographic information’ in this document. 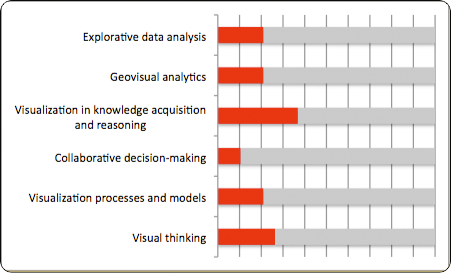 Geospatial Information is considered as a synonym, and Geospatial is used in contexts where it is commonly used. 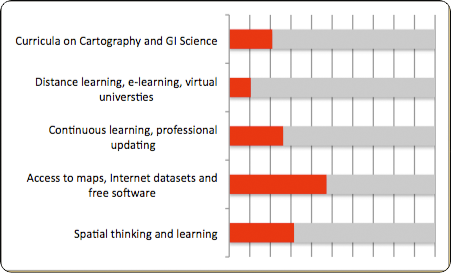 In the text spatial data infrastructures (SDIs) have a synonym of ‘geospatial data infrastructure’; by adding the geoprefix we can emphasize the real contents of the data in question. 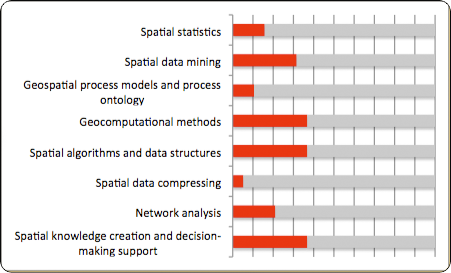 The emphasis is on the extraction of added value from the processing of spatial data on maps and the use of analysis and modelling techniques to initiate, support and supplement the mapping process. 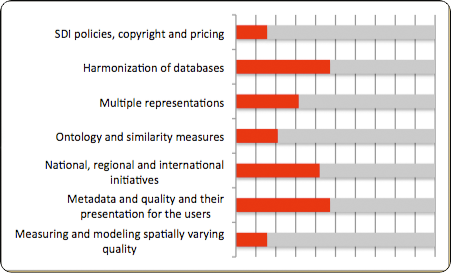 This keyword covers a range of issues which connect the human user of spatial data with its representation, its processing, its modelling and its analysis. 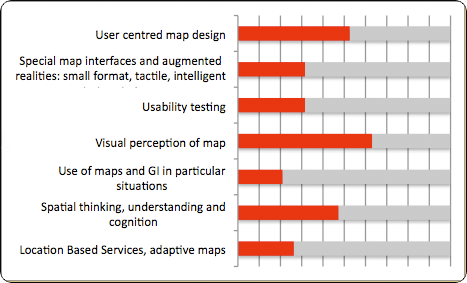 Here the visual representation of spatial data, in map and in other forms, is discussed, along with methods of using such representations. 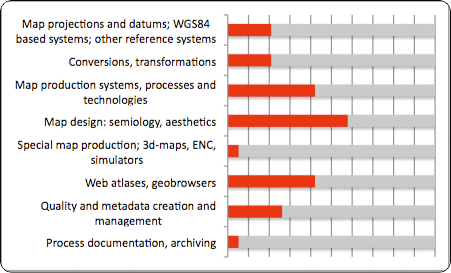 This keyword stands for the numerous stages in mapping and map production as technical processes, but also production of various map types from atlases to Internet maps. The fundamental concepts which form the basis of all our spatial data handling are incorporated under this keyword. The importance of the development of methods and practices throughout history was recognized in the brainstorming session: all current-day activity is informed by detailed accounts of such development. To ensure a valid and viable future for our current activity, we need to research and implement methods to educate and train future generations: methods of doing this fall under this research heading. 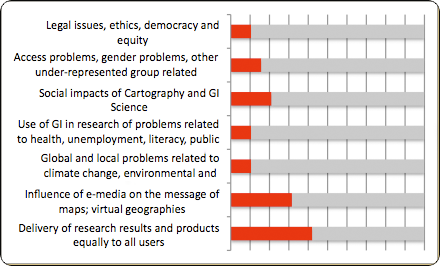 A dominant research topic throughout has been the examination of how such spatial data handling is grounded in societal structures and how it is undertaken by different groups of people.